As part of your online application, you are required to download the form, print it and then capture the fingerprints requested by the system. The fingerprint submission must meet specific criteria for processing by DGI&P. The short video below explains how to capture fingerprints that are accepted by the e-Services Portal. Ensure all information is written in clear BLOCK letters using black ink. Enter data within the boundaries of the designated field or block. The form must be scanned at 600 dpi, JPEG and in Grayscale. TIP: Remove the excess ink on the fingers by first placing your finger on a rough paper before recording your impression on the fingerprint form. 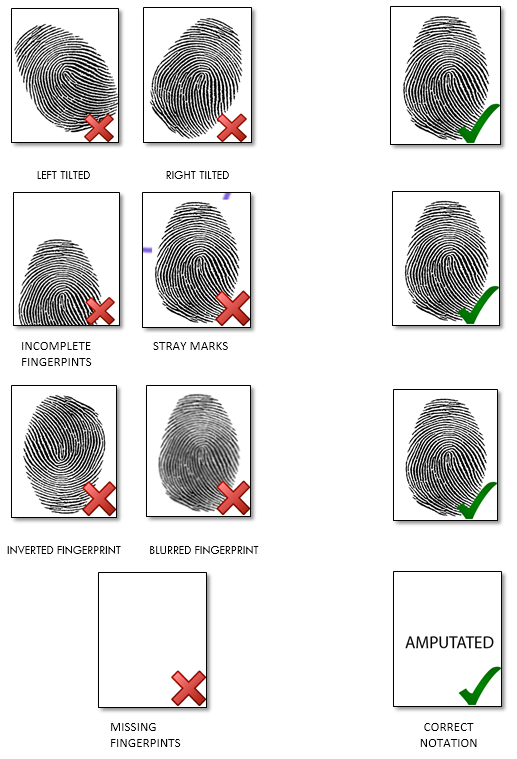 A quick reference guide on fingerprint capture is available in PDF format also.